I started this post basically as a shout-out to the post office for doing a pretty good job of covering the range of holiday stamp needs. 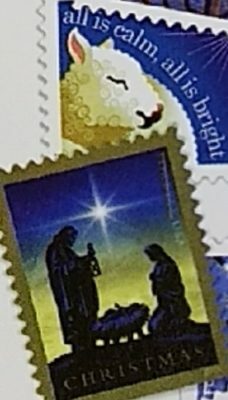 If you want to honor a major religious or ethnic northern-hemisphere-winter celebration with your stamp choice, the U.S. post office has you pretty well covered. 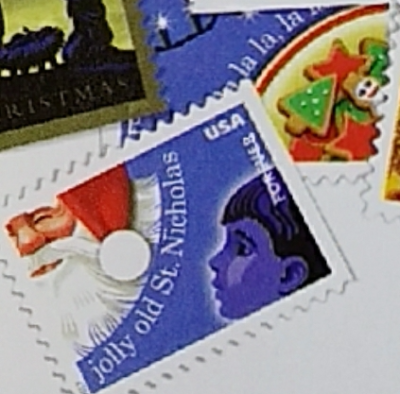 Jews and African-Americans will find Hanukkah and Kwanzaa stamps. If your winter-holiday celebration has its roots in the Christian tradition, but is a bit less religious-focused, you have several choices. There’s a kid in a snow-suit making a snow-angel, a one-horse-open-sleigh reference, a Santa Claus, and some holiday decorations with Christmas cookies. 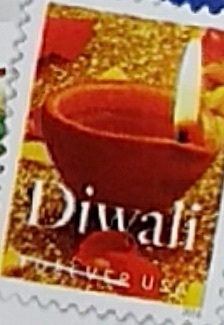 There’s even a stamp for Diwali (and the post office always has a stamp for Eid, although I guess this year, since Ramadan was back in the summer, they didn’t see fit to include it with the winter holiday stamps). But just as I was getting ready to sing the praises of the U.S. Post Office for hitting just about every note, I realized that they’d left me out. There’s no stamp for me to put on my solstice cards. Those bastards! I shall have to write a strong letter of protest. 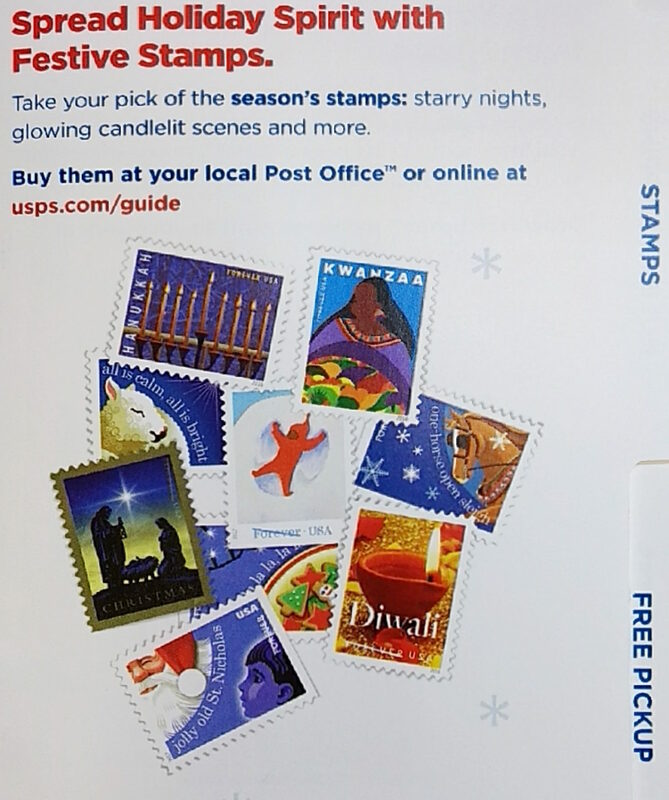 Author Philip BrewerPosted on 2017-11-18 Categories NewsTags Chanukah, Christmas, cookies, Diwali, holidays, Kwanzaa, post office, religious, secular, solstice, stamps5 Comments on What about solstice stamps? We stopped at the post office on the way home from taiji to mail off our Christmas gifts, and Jackie wanted to buy some stamps as well. 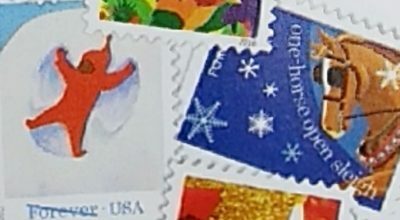 The clerk pointed us toward the display of the currently available stamps, pointing out that the Christmas-themed stamps were in the lower left. I’m sure the clerk was just trying to be helpful. She was no doubt thinking back to a day, perhaps not so long ago, when she would have had no idea what Eid was. 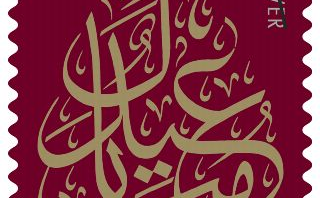 She was imagining just how embarrassed she’d have been if she’d thought, “I don’t know, I think they’re kind of pretty,” and had sent off her Christmas cards with Eid stamps. Jackie, of course, knows perfectly well what she’d be doing. She’s lived places where Eid is as big a holiday as Christmas is here. 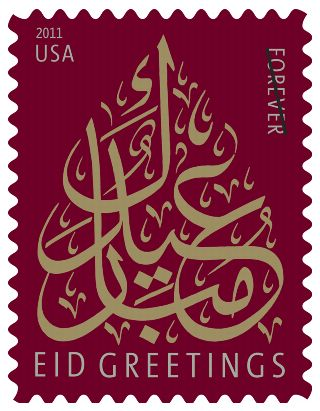 And nobody that we’d be likely to send a card to would be offended by receiving one with an Eid stamp. After pointing out that the post office really ought to have solstice stamps, Jackie ended up getting a page of Earthscape stamps. I’ve hesitated to write this post, because I don’t want to sound like a right-wing nutjob ranting about the war on Christmas, and because I recognize that I’m speaking with the privilege of someone who belongs, more or less, to the dominant culture. Even so, here it is: I find it weird and off-putting for someone to go through gyrations to avoid wishing people a holiday that they may not celebrate. Most particularly, I dislike making good wishes conditional. A month ago, the anchor on BBC News America was signing off on Thanksgiving day and went through some such circumlocutions to wish everyone who celebrated it a Happy Thanksgiving. Is that is really necessary? What could possibly be the harm in wishing someone from Europe or Asia or South America (or Canada, for whom it would be a month late) a “Happy Thanksgiving” even if they don’t celebrate it? Now, I certainly don’t want to suggest that members of the non-dominant culture should be obliged to keep track of the dominant culture’s holidays and cough up the appropriate greetings: Quite the reverse. I’m a latecomer to Groundhog’s Day fandom. I blame my second-grade teacher. She told us about the holiday, but who somehow failed to get through to me that it’s a joke. That unfortunate early experience aside, the cross-quarter date is important to me. Just like Halloween marks the time when I tend to start worrying about the approaching dark days of winter, Groundhog’s Day is when I start to feel like the worst is past. But the sun follows a more rigid schedule. The days will get longer—and at an increasingly rapid pace over the next few weeks. And, despite the idiosyncrasies of the weather in any particular year, the longer days will lead to warmer days. It would take a volcano to make it otherwise. So, I’m a fan of Groundhog’s Day and its promise of spring—whether early or on its regular schedule.